This month marks RPP Architects’ 40th year in practice in Belfast. To celebrate this landmark birthday, we have decided to take stock and reflect back on our 40 years in business, our journey as a practice from where it all began, to where we are today and past projects that we are most proud of. We are of course also looking ahead to the exciting projects we will be delivering in 2017 and beyond, including film studios, hotels, some beautiful private homes and a significant mental health inpatient hospital at Belfast City Hospital. 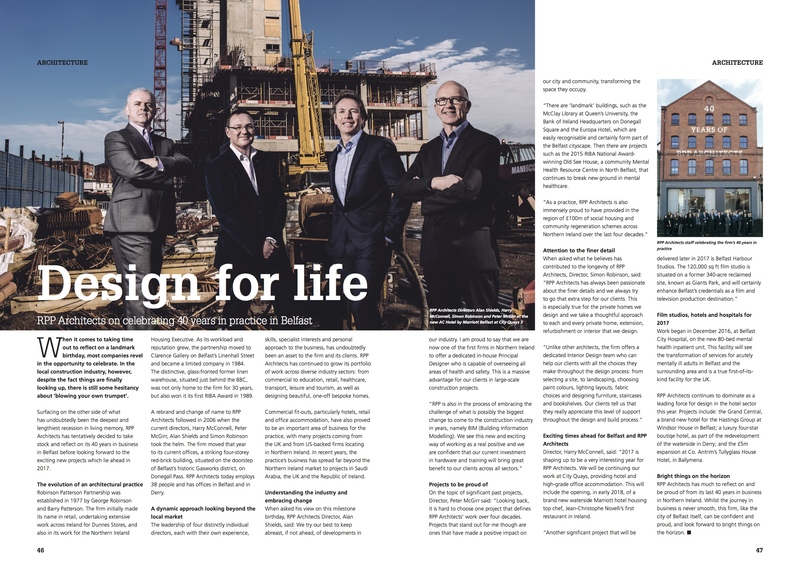 You can read the full article here as appeared in May’s Ulster Business magazine.